Are you working on a project that requires AFS walling? 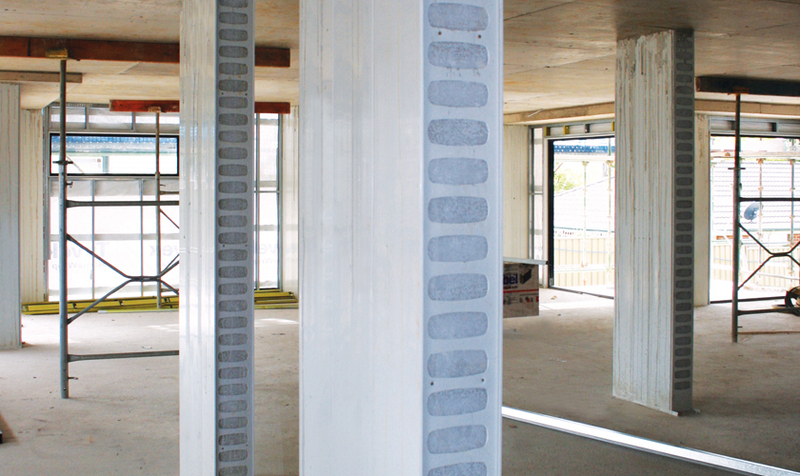 Our specialist AFS wall installers are here to tell you everything you need to know about AFS before using their walling solutions in your next construction project. When the people behind AFS recognised the need for affordable building materials that would allow for more efficient construction, they began developing a suite of innovative walling solutions. Now with Logicwall and Rediwall under their belts, AFS have created some of the most lightweight building materials on the market. Because of this, AFS has become one of Australia’s most trusted construction brands. AFS is now part of the renowned CSR family, having met their extensive criteria that requires an ongoing commitment to quality and innovation. Other members of the CSR family include Hebel and Bradford Insulation. Being part of the CSR family provides both developers, builders and contractors with the added confidence that AFS is a trustworthy partner. As a developer, architect, builder or residential project client, you need to have the assurance that the materials used in your project meet Australia’s high safety standards. All AFS materials and walling solutions have been deemed fully compliant with the Building Code of Australia (BCA). Their products have been independently tested by recognised statutory organisations, and have achieved certification for fire, structural, durability and acoustic performance. Because AFS walling solutions are much lighter than other walling materials, their transportation and installation footprint is already smaller than other alternatives. But beyond that, AFS is committed to providing environmentally-friendly products in all ways possible. Non-hazardous materials and manufacturing processes are used in the production of their walling products, meaning there is no harm to AFS workers, inhabitants of buildings using AFS products, or the environment. If you are interested to learn more, you can read more about AFS’ sustainability practices. AFS walling solutions have been specifically designed with efficient installation in mind, cutting building times and financial costs to all parties involved. Rediwall is an easy-to-use system that features precision extruded components that either snap on or slide into place for rapid assembly. AFS claim that Rediwall is so easy to install, that it won’t require any training. Logicwall has also been designed in such a way to allow for efficient construction, but will require specialised expertise for installation. Regardless of whether you are using Rediwall or the more complex Logicwall in your project, we would highly recommend that the installation be overseen by experienced professionals. Doing so will ensure your project stays on schedule. Solutions Built are both AFS wall installers and suppliers in Brisbane, the Gold Coast, the Sunshine Coast and surrounding areas. Please contact us to enquire about using AFS walling in your next project.